I learned to type on an old-fashioned manual typewriter. You had to return the carriage at the end of each line. There was a lever on the right side of the carriage to facilitate that move. If I had one of those machines, I’d be tempted to return the carriage before going on to this verse. Time for a new thought, a new paragraph. Indent! (Only the aged will remember all that). This verse could be considered the beginning of Part Two. Jesus now speaks as the One Who is greater than Moses (Hebrews 3:12). He speaks with greater authority than Moses or any other prophet, simply because He has greater authority. He is The Authority! We need to listen when He speaks. 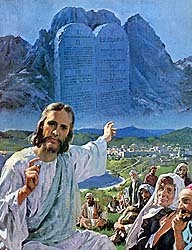 It was His finger that engraved the stone tablets with the Old Testament law. It was He Who revealed the visions to the prophets. We need to understand exactly Who He is, and with what authority He speaks. After hearing the description Jesus had just given concerning the heirs of the kingdom, the disciples probably wondered, then, if He were setting aside the whole Old Testament law. Jesus clarifies in this verse that He is not there to set aside the law, but to fulfill it. 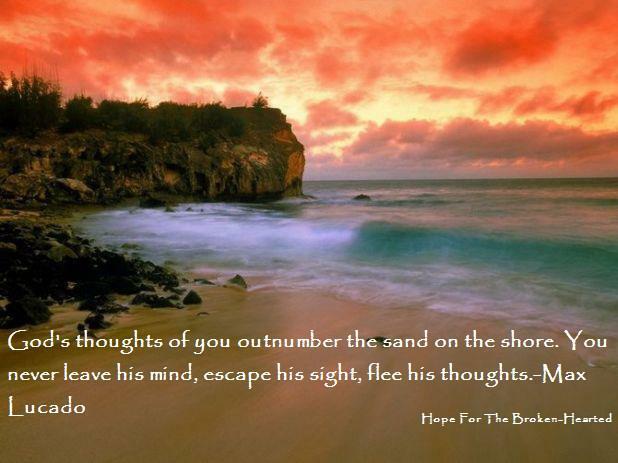 What an absolutely wonderful thing for us to ponder on this day before Resurrection Sunday! His death, His blood shed to atone for the sin of all mankind, was the beginning of the fulfillment of the law. His resurrection completes the atonement and guarantees eternal life with Him for those who accept this amazing gift of God. I could say a lot more about this, and maybe I will next week. Today, I’m busy getting ready for tomorrow when we will celebrate the triumphant resurrection of the Lord Who made the heavens and the earth; His ultimate victory over sin and death; and His great, wondrous, amazing love for us. Christmas is wonderful, and I love it. 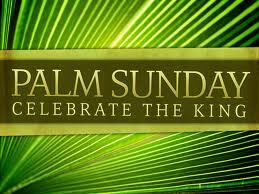 But to celebrate the completion of His work on earth is the most joyous holy day we can enjoy. The same multitude that hailed King Jesus on his triumphal entry into Jerusalem — in a matter of days, shouted “Crucify Him! Crucify Him!” And that scares me. I see myself in that crowd. They fully expected Jesus to throw off the hated gentile empire and inaugurate a new age of David’s throne. No doubt hundreds of people were waiting His bidding. So what did Jesus do? Jesus entered Jerusalem and went into the temple courts. He looked around at everything, but since it was already late, he went out to Bethany with the Twelve. — Mark 11:11 NIV. 1. A mild or very strong personality change in the child. He becomes withdrawn, quiet and secretive. He cries much more easily than is normal for him. 2. You discover your child masturbating. This happens with both boys and girls. It DOES NOT always mean there has been abuse; however, especially for a very young girl, it is cause for some pointed conversation. 3. The child seems fearful of someone she used to love. 4. The child is playing with dolls, action figures, stuffed toys, in ways that are overtly sexual. 5. The child seems far more interested in his own sexual parts than he used to be. 6. If the child has spent a great deal of time alone with someone (male or female) and then begins to object to being left with that person, you need to investigate. 7. Your child begins to do what, in my work, we call “acting out.” I remember a set of foster parents telling me that their four-year-old long-term foster daughter came home from a weekend with her father and behaved in a very sexual manner toward her foster father, walking suggestively, pulling down her pants in front of him, etc. All things she had never done before. 8. Your child tells you someone has touched, hurt, threatened, or even just watched her in a way that scares her. Always, without fail, follow up on these types of statements. Children rarely lie about this issue. If she is old enough to bathe herself, and her father, uncle, cousin, brother, or friend want to “help” her take a bath, pay attention. 9. Older kids are better at hiding abuse, and are often threatened that the molester will hurt someone else that the child loves; or that no one will believe her; or that he LOVES her, and this is how you show love. Molesters are extremely good at intimidating a child and/or convincing the child that he “wants it,” that it is the child’s fault. The bottom line here is to pay attention. Most molesters of little children are people they know and that they or the family trusts. Sadly, this particular crime tends to stay undetected because the child is afraid to tell, or when he does, he is not believed. It comes down to the molester’s word against the child’s word. Guess who usually wins. I feel as if I’ve left out something important here. Hang on a minute. 12. The child does not want anyone to see him undress or to see him naked. Awful, isn’t it? Even worse is that adults in the child’s life may see the symptoms and go into complete denial. When that happens, the cycle of abuse and cover-up can continue indefinitely. We have learned that we are to be lights in the world. We are to reflect the incredible glory of the Light of the World so that all will be drawn to Him, and to bring glory to His Name. This verse tells us that, just as you do not hide a candle under a bushel, but put it up on a candlestick to give light to many, so are we to allow our lights to shine so that others may see. . . .
Our good works. 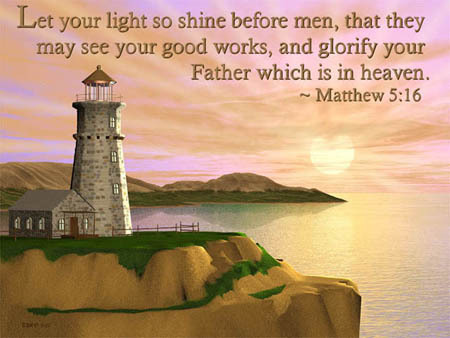 The Weymouth New Testament says this: Just so let your light shine before all men, in order that they may see your holy lives and may give glory to your Father who is in Heaven. It is very sad to me that often, when a person is walking close to God, the ridicule comes from other believers. Their godliness is an offence to us. Why is that, do you think? Is it because their holiness works conviction in our hearts? Are we just doing a shift of blame, so we feel better about our own sin? Our good works will reflect on and glorify the Father. It is not I, but Christ. One of the highest compliments a person may receive is that he is known to stand for righteousness. May it be so for us, and may we not be guilty of accusing a righteous man of being self-righteous because he makes us squirm with shame over our own sin. The whole point is to bring people to Christ. Thought this was really good. Seems there’s more and more being posted about prayer these days. Days are numbered and there is so much left to be done. As I face my giants, I have to keep praying that things will overcome. It makes no sense to light a candle and then block off most of the light by hiding it under a bushel basket, does it? What good is the light if it is hidden?